Little Creatures is situated on busy, hip and popular Brunswick street, in a huge converted warehouse, I’m talking high ceilings, large hanging pendant lights, raw painted walls, and everything unfinished in a very funky way (my favourite feature was the ATM hidden in an old Kelvinator fridge). We visited with a group of friends for a Sunday session and attempted to make booking in advance but were told we couldn’t, so we rocked up on the Sunday and luckily enough got seated in one of their booths straight away. We had a couple of kids with us, so the booth suited us perfectly. The menu isn’t huge but it is full of variety, Pizza, mac and cheese, beef cheek, lamb pie, barramundi, brisket and the list goes on. Amongst us we ordered the lamb and vegetable pie; the tomato, basil, buffalo mozzarella pizza; pork belly, coleslaw, apple sliders; and the smokey mac n cheese with shaved mushroom for bubs. They have a kids menu, but I thought the mac and cheese may be easier to feed the little guy. Our food came out quickly and we were all impressed with it. I had the pie and it was delicious. 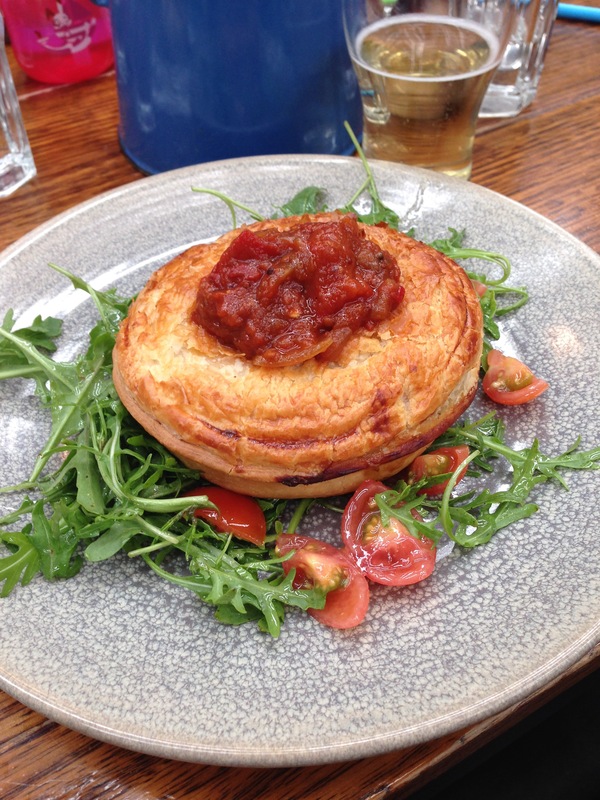 The lamb was full of flavour, tender and perfectly encased in the crispy pie shell. I’m a sucker for a good pie and this one definitely hit the spot. I fed my little guy the mac and cheese and the penne were really the perfect meal for a child so they should definitely add this item to the kids menu, so that it comes in a child appropriate serving size. 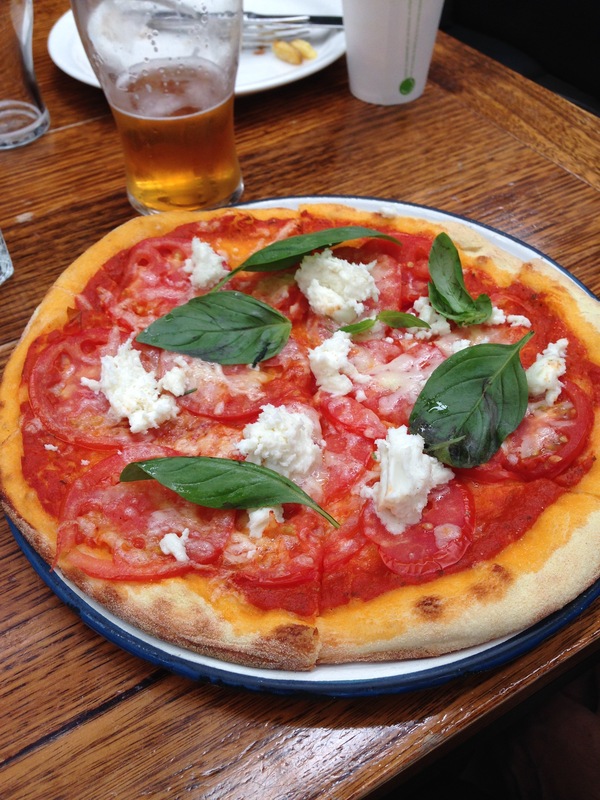 My husband had the Pizza and loved how simple, fresh and light it was. 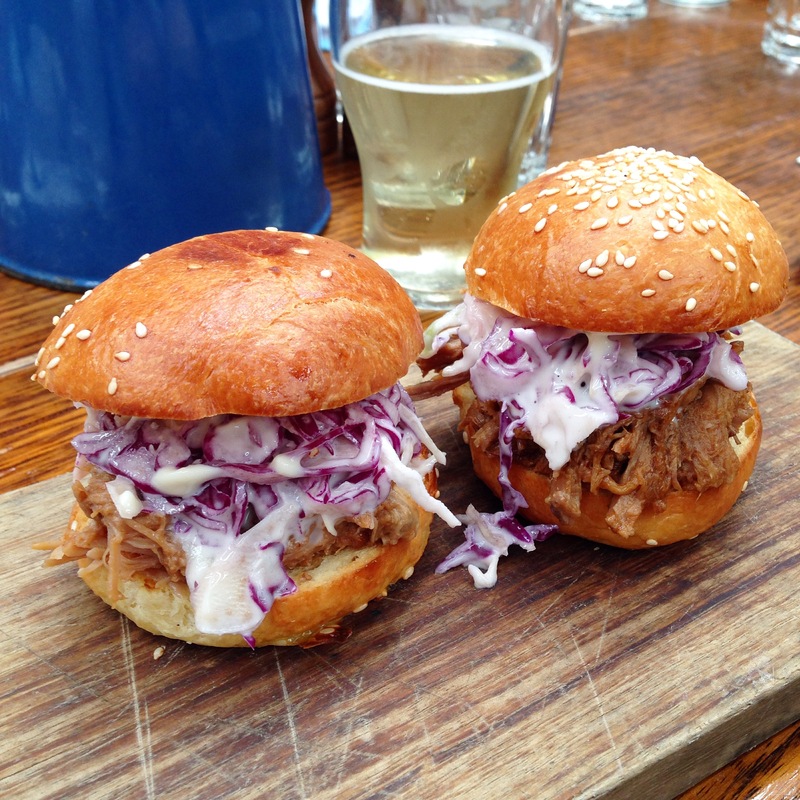 The guys that ordered the sliders were also full of compliments. All in all we had a great afternoon with the kids at Little Creatures, so if you’re looking for a family friendly venue, add this one to your list. 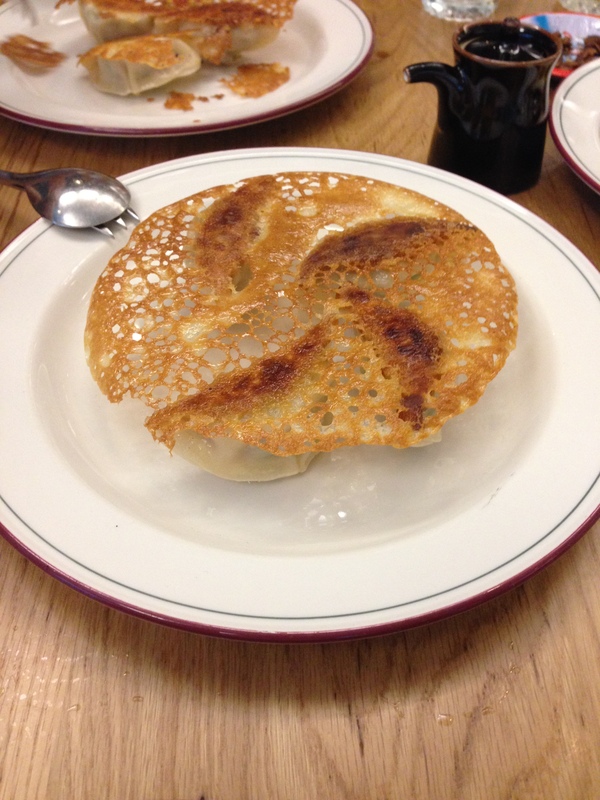 We stopped into Supernormal for a lunch midweek whilst out on a ladies shopping trip. I had heard great things and not so great things about this place, so I figured we might as well find out for ourselves. As we approached the front door I could see how packed it was inside, so I thought a) it’s a good sign – a crowd means good food, and b) the likelihood of us getting a table was very slim especially with the stroller. Anyway as chance would have it, a table with stroller space was being vacated as we arrived, the staff were lovely and had it ready for us in a matter of minutes. Contrary to many reviews I’ve read, the service as fantastic. All of the staff were warm and friendly, often having a laugh with us over my sons newest ‘thing’ – he’s started screeching like a bird, so bloody irritating and a great way to draw attention whilst annoying other diners. They may have bagged us when they walked away (I would have if I was them, seriously, you have to hear this kid, I’m cringing just thinking about it. ), but to our faces, they were lovely, which made our experience all that much better. Most of the items on the menu are designed to be shared, so we ordered about 5 dishes between the four of us. We were advised to order 8, but we wanted to save room for dessert and in the end 5 worked out perfectly. 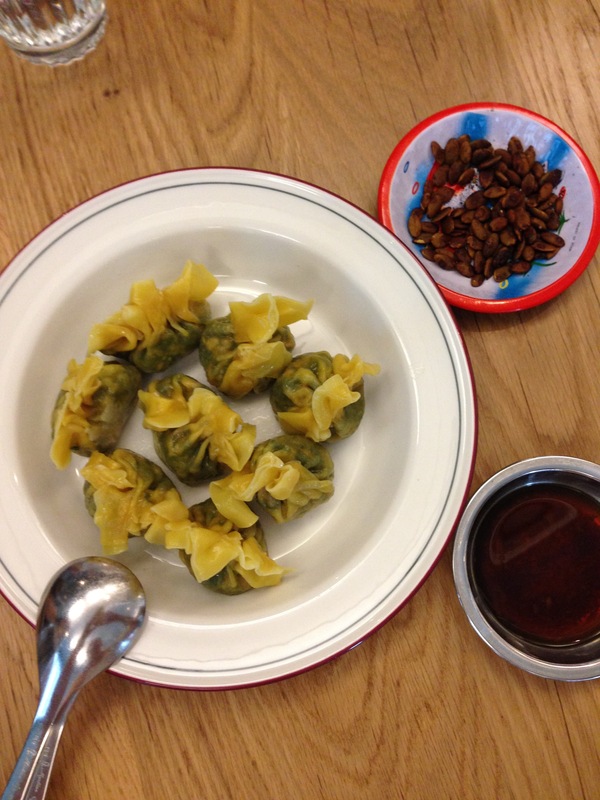 First dish out was the vegetable dumplings. They come as a serving of 6, but our lovely waiter organised to have it increased to a serving of 8, so that we got two each. They were little dumplings, the kind that are almost gone in one mouthful, but let me tell you, it was a great mouthful. They were delicate, soft, full of flavour and a little bit nutty. Next out was the pork bao with tamarind sauce and let me tell you, that sauce packed a punch (I must clarify, for most people it’s probably nothing, but I’m a lightweight when it comes to chilli, at Nando’s I’m a lemon and herb kinda girl, I can’t even do a mild basting, so you know, it’s probably not that bad). 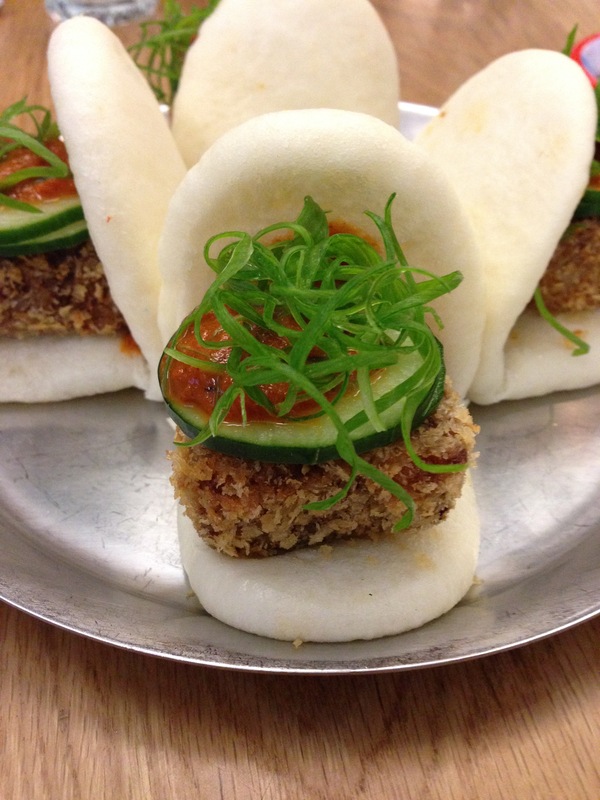 Inside our boa was a beautiful little cube of crusted pork, topped with some cucumber and the sauce. It was delicious, and that little piece of cucumber managed to balance out the sauce for a lightweight like me. 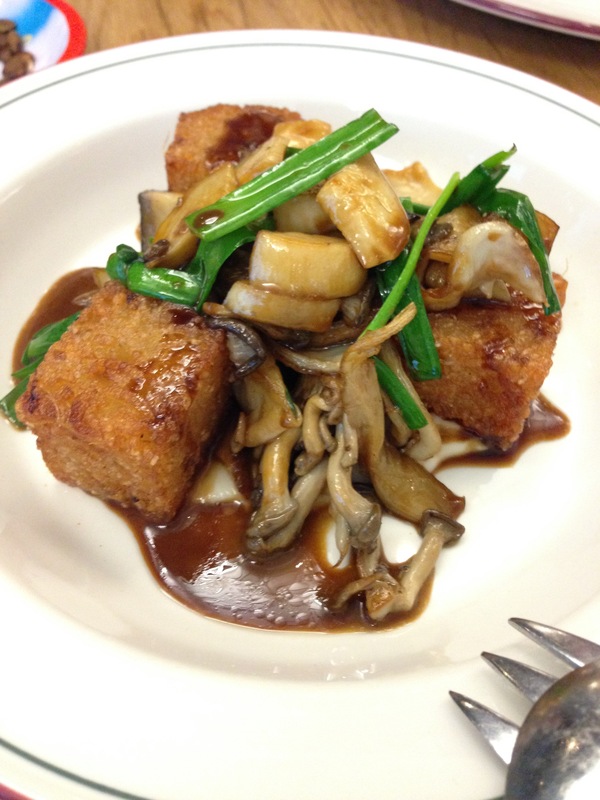 Dish number three was the sautéed mushrooms, with rice cakes and sweet soy. Often when I’ve ordered a dish with sweet soy it can be a bit sickly, particularly if the kitchen staff have been a bit heavy handed with it. 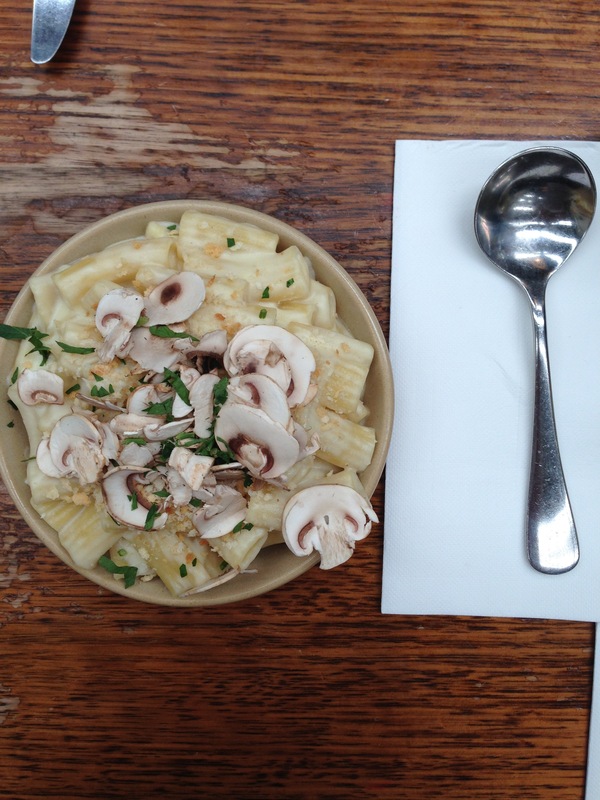 This wasn’t the case here, the mushrooms were lovely and the sweet soy was actually quite subtle. The rice cakes were also great, they were these super crispy cubes of rice and surprisingly tasty. Dish four were the pan fried pot sticker dumplings, which came in a serve of 5, but we once again increased them to a serve of 8. Look, they’re not particularly pretty, but they’re really tasty and even had a surprising hint of cinnamon. Yep, that came out of left field, but it worked. Dish five was the sautéed greens with black bean sauce. These kinda speak for themselves, they were greens. Nothing mind blowing, but it’s always good to eat a bit of greenery to balance out a meal. Now, for the important part, dessert – a serving each of the peanut butter parfait with salted caramel and soft chocolate, OH EM GEE. This is the kind of dessert that becomes iconic and draws a crowd. Don’t get me wrong, everything else was great, but this was on a whole other level. 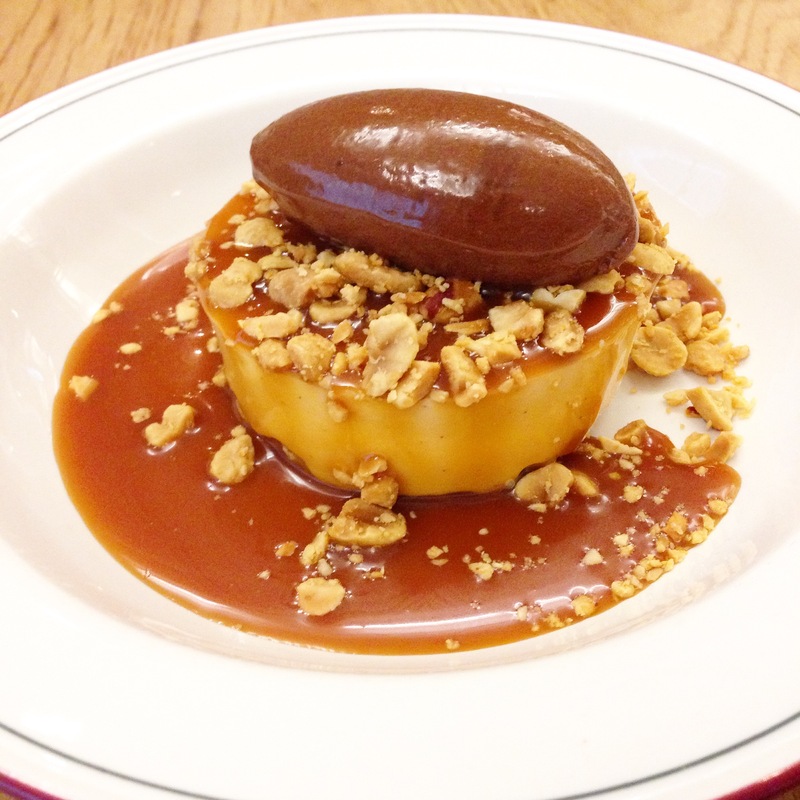 Let me break it down, a delicious creamy round of peanut butter parfait, sitting on top of a crispy disc, lathered in caramel sauce, scattered with peanuts and finally topped with this beautifully soft and rich chocolate. Ah ha, amazing! All in all the food was good and then we got to that dessert and I was beyond impressed. So my advice to you…make the trip, if nothing, just to try that parfait.